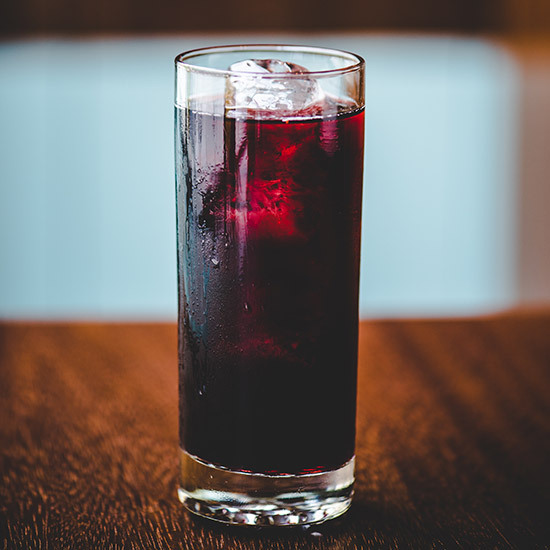 After traveling to Buenos Aires to research dishes for his new Washington, DC restaurant, Rural Society, chef Jose Garces found a few new favorite post-shift cocktails including the Fernet Branca con Coca (Fernet Branca and Coke). After traveling to Buenos Aires to research dishes for his new Washington, DC restaurant, Rural Society, chef Jose Garces found a few new favorite post-shift cocktails including the Fernet Branca con Coca (Fernet Branca and Coke). Paired with Coca-Cola, Fernet, a favorite of chefs and bartenders across the country, creates an herbaceous, boozy soda. Garces also likes to add Tuaca, an orange- and vanilla-flavored liqueur, and brandied cherries—a perfect midnight snack. Here, Garces’s recipe for his Fernet con Coca. Muddle cherries, lime and sugar in a mixing glass. Add Fernet, Tuaca and ice. Shake and strain into a tall glass over a large cube. Top with Coca-Cola.